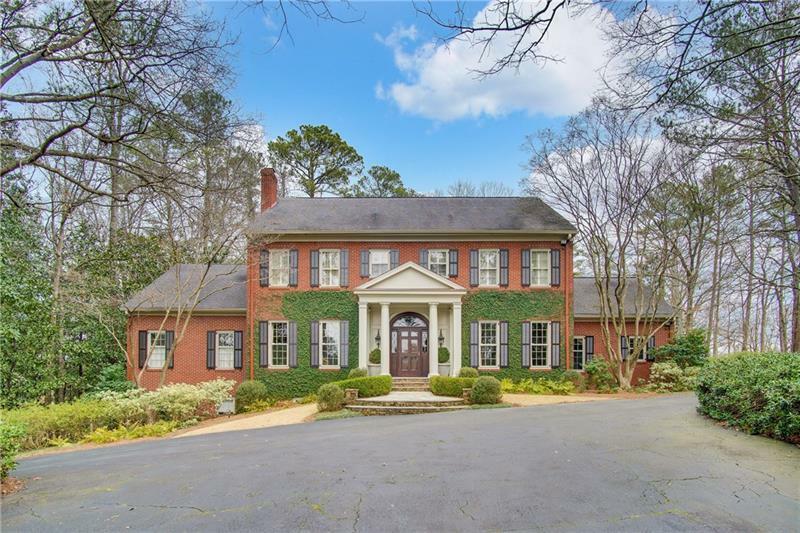 Located on a private 3.5 acre cul-de-sac lot, this elegant Buckhead home offers an abundance of traditional style and charm. The spacious light-filled interior boasts an updated chef-caliber kitchen complete with 12 ft marble island, custom cabinetry and Wolf appliances. An inviting keeping room adjoins the kitchen featuring vaulted ceilings, exposed wood beams, rustic stone fireplace and dramatic wall of French doors. Master suite includes a luxurious pair of renovated bathrooms. 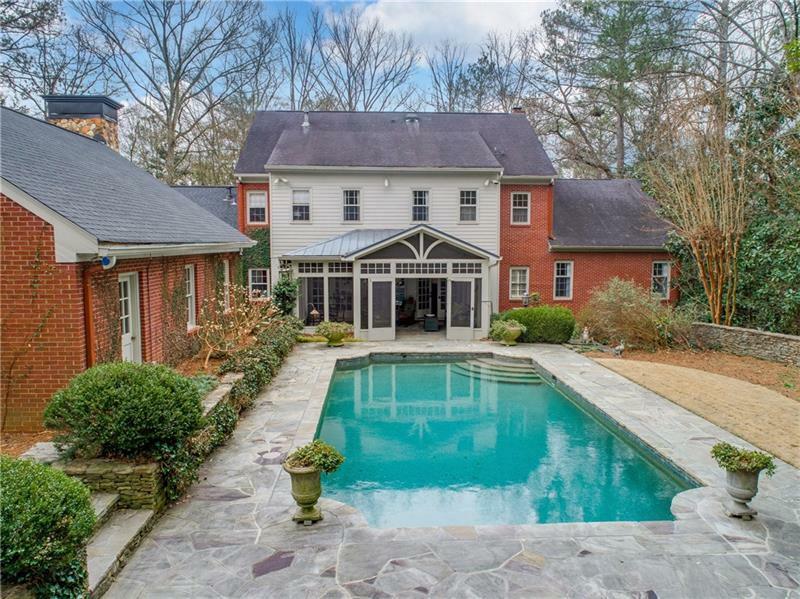 Outdoor living with a tranquil screened porch, lush grounds, and heated PebbleTec pool.